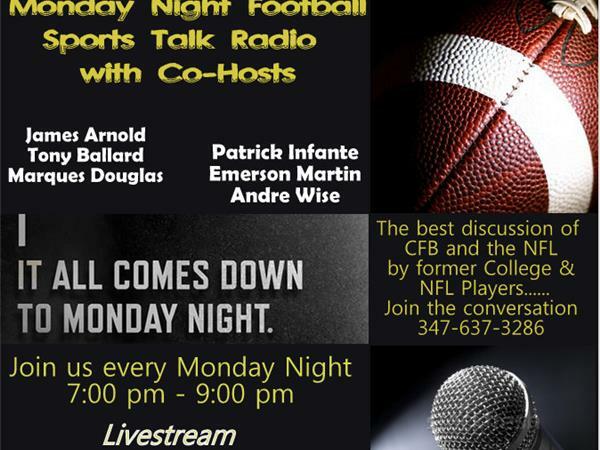 We will have Mr. James Arnold, Coach Martin, Coach Wise, and Coach Ballard on discussing the Combine. Who made the biggest splash at the Combine. The debate between Winston and Mariota.....and Vic Beasly////Dante Fowler. And, then we will get the crew of our new show premiering on the Network on Wednesdays at 9pm. They are great Coaches, Men, and Co-Host.